I really need help with meal planning since my cooking skills are limited. Tasks associated with selecting menu items, putting together a grocery list, then assembling/cooking the food are overwhelming for me. As a result, I give up, revert to my limited set of food items, get bored and fall off track. Thank you so much for putting the weekly meal plans together. 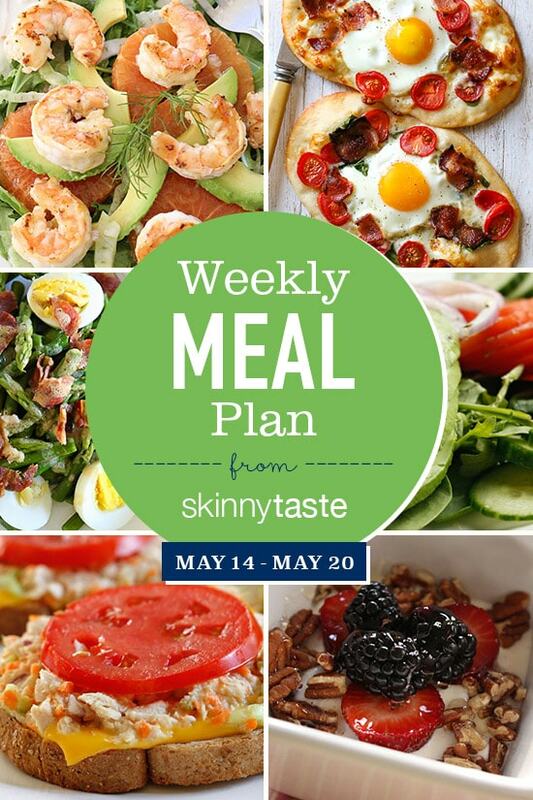 I depend on these meal plans and would love you to keep doing them! Love the meal plans. It cuts out the “what should we eat tonight” nights. I made the Monday and Tuesday meals and they were a huge hit. Thank you so much Gina!! Thank you Gina, this is the first time I have used a meal plan, but am definately a convert. There is some amazing recipes we have enjoyed, and best of all, this helped pull me out of a wrong way WW spiral. Can’t wait to see what happens on the scale next week. Love the weekly meal plans!!! Don’t get rid of them! I recently started WW Freestyle and your meal plans have made it so easy to follow the program, stay within my daily points, and best of all…eat delicious meals that don’t taste like “diet” food! Please continue posting these amazing weekly plans! I also have a question…do you have a favorite meal planning mobile app that you like to use/recommend? I really like the shopping lists provided with each meal plan, but it’s easier for me to keep a shopping list on my iPhone, so I was wondering if you have any suggestions for an app. Thanks for all your hard work and support! I am working on a better feature, coming soon! Yes to meal plans!!! Keep them coming!!!!! Skinnytaste Die hard fan for life!!!!!!! I really enjoy the meal plan menus, however, I feel you use a lot of Mexican recipes. This weeks menu plan was great! Thanks so much for taking the time to do all this planning. This is amazing! I definitely will use it this week. I don’t eat meat so I will be attempting to change some of the recipes to use a substitute but will make the meat version for my husband. Thank you so very much for offering this wonderful tool! 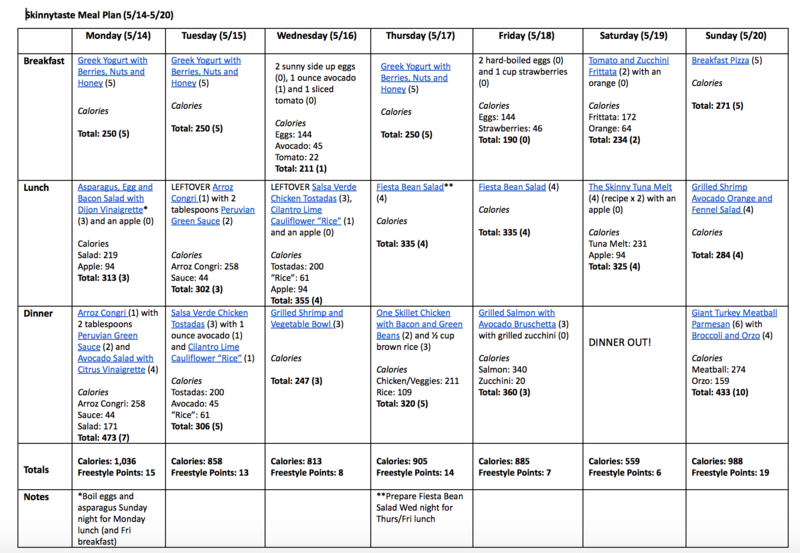 I recently discovered your weekly meal plan! Please don’t stop posting them. I have used meal planning services in the past with great success. I’m happy to have found something that lines up with overall health and wellness goals. If anyone has bought ingredients for this plan, what was your cost? I want to try but dont want to spend a ton. When I saw the shopping list it looked like a ton. My roommate and I are using this plan and it only cost us about $150 for the whole week. Although, we had a lot of the dry goods already and we’re halving some of the recipes since there are only two of us. I love this and will definitely be using the meal plans – thank you!!! I switched it up a little and had the shrimp vegtable bowl tonight – YUM! Will modify depending on the day but will overall use these. thank you! These meals plans are fantastic! We have been using them since the New Year and they have made our lives so easy when planning meals! Please keep posting them! I put the ingredients for Arroz Congri into WW and it is now 4 freestyle points due to the rice… did I do something wrong? I noticed the recipe is old so it hasn’t been updated yet. Maybe that’s it? Very impressed with all of your recipes this week. Any suggestions for a person living alone for the dinners except just trying to cut in half. I might cut out a few and have more for leftovers. I love your recipes and menus! They make our lives so much easier! I wish these posts came out on Saturday so we could have a little more time to get organized for the week and take advatage of the farmer’s market. Thank you for this meal plan. I notice that you rarely if ever use your 23 WW points each day. Do you think that is an important key to success on the program? I am wondering if the 23 points per day is too many for successful weight loss? I think you should eat all your points! I just like to leave room for extras you may want. Thank you so much for these weekly meal plans. I do use them and I hope you won’t discontinue them! Happy MOther’s Day! Happy Mother’s Day! Where do you buy Delallo Jarred sauce. None of my local stores seem to carry it. The product locator on the website did not provide much info. Thank you so much for helping me with meal planning. Any idea cost of this meal plan? I would be interested to try, but kinda wanna know budgetwise. I I purchased 90% of what was on here and spent around $110 for my husband and myself, but that included some home items like trash bags, paper plates, etc. I spent $202 and that didn’t include several of the ingredients or any of the spices except for paprika. I must admit I had sticker shock. But, looking forward to eating healthy this week! Thank you, Thank you for these menus! They are a life saver! Please continue to post this!